In recent years, the geopolitical situation and the military-strategic balance of forces in the world is of ever growing concern. It increasingly sounds like the situation of 1939. There’s a smell in the air of a great war. In the 90s, many representatives of the Russian ruling circles had the impression that the confrontation with the West was finally over. There was even talk about Russia’s accession into NATO, “the end of history” and so on. However, all that was just so long as the elite overseas powers felt that the destructive processes generated by the collapse of the Soviet Union, would be irreversible for Russia. Do not forget that the policy of destroying Russia still continued, but was veiled in the sweet voice of friendship and cooperation. Today we see how disturbed the parity of forces in Europe has gotten in connection with the deployment of missile defense systems in Romania and Poland: in a few years Russia will not be able to launch a retaliatory nuclear strike. What should be the asymmetric response of Russia to the new threats and challenges of the modern world? 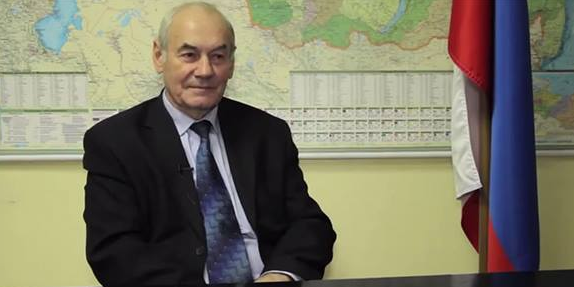 The president of the International Center for Geopolitical Analysis, Doctor of Historical Sciences, Colonel-General, ex-chairman of the “Union of Russian People,” Leonid Ivashov spoke to Pravda.Ru on these subjects. “You have to understand that in the situation in Europe, that Europe is militarily colonized by the Americans. The Americans have advanced pro-American regimes in the Western European countries and have completely subjugated Eastern Europe. And there, with a base in Eastern Europe there is pressure on Germany, France, as well as, to a lesser extent, Britain. On the other side, the Turks are working on a flank against Europe; they, in concert with the Americans started this process with migrants of Muslim origin. And so Europe today is the victim of US policy, of transnational corporations, the Rothschilds, the Rockefellers. That is what is happening in Europe today. Europe needs the threat of a bogeyman. And here they’ve made one up, Russia. And besides that, they lie so shamelessly, without paying the slightest attention to the balance of power. How could a country threaten NATO, that has several times less military capability? Especially in the western strategic direction. And in size of defense forces, and on the composition of military equipment, we are disadvantaged three or four times over, as well as in overall military equipment. Therefore, we can only be on the defensive, defend ourselves somehow, but as for offensive and striking groups, we have virtually none. But anything else is just false information and propaganda. Our attempts to create something in the image of the Warsaw Pact have nothing to work on. We have no such countries in Eastern Europe ready to go to close military and military-technical cooperation. The Americans hold them all by the throat. But we have no need for allies like Poland, the Baltic States and Romania. It’s better they will be enemies. What we need to do in this area? “First: strengthen our military power, to bring it to the required level of defense. “Second: become closer friends with Belarus and, of course, create a single defense space with Belarus. In addition, there must be political and diplomatic work. It is needful to discuss with Europeans what awaits them. We are not going to free them any more from their occupation, with any military support, not from the migrants, nor from the States, nor from the Turks, they shouldn’t expect it. And, of course, work actively with the Serbs, continue to work with the Bulgarians. Throughout the Balkans we should work actively through political, diplomatic, and economic means. “Third: it is necessary to understand that it’s the Americans who are behind the whole process, the anti-Russian hysteria, and the process of increasing the power of NATO. So we need to create a military group that is capable to work on the territory of United States. The States are actively developing the missile defense system to neutralize our intercontinental ballistic missiles. So you need to create a bundle of high-precision tools. Cruise missiles to be based within reach of the United States. So it becomes possible to neutralize the US missile defense. We need a real threat to the United States, the foundation of all these processes. Editor: This partially explains the soft coups underway in Ecuador, Brazil, Venezuela, and the overtures to Cuba. The US government wants to put these countries under its control so there is no possibility of Russian bases or weapons a la NATO. A weapon that also must be used is simply the truth about all the West has done and is doing — US, Great Britain, France, Netherlands, etc. Name the names, expose the deeds. Showing the Western soldiers who and what they are really fighting for may encourage them to stand down and stop this insanity. It may be that many soldiers want to be warriors for truth, freedom, and goodness.